You might think that your domain name must be some generic name like “clothes.com” if you are selling clothes. the last time you went shopping, ask yourself, did you not have a brand in mind when you were looking for some clothes? “www.gucci.com” or “www.prada.com” rather than just “www.clothes.com”.For that reason, I personally feel that a domain name that matches your brand name is very important. The very name that you use to advertise your product is the name that you will want for your domain, because that is the first thing that people will try in their browser. It is also the easiest thing for them to remember, and whatever that is easily remembered, will be more likely to be tried out than the obscure domain name. The .com TLD (top-level domain) is obviously the most widely accepted extension for a domain name. It is also the easiest to remember. Most people who want to visit your site will go for the name of your business alongside the “.com” TLD, but if the .com TLD of your name of choice has been taken, you can use an alternate TLD suited to your country, for example if “www.glam.com” is taken, you can go for “www.glam.com.ng” or “www.glam.ng”, but always try the Dot-com domain first. 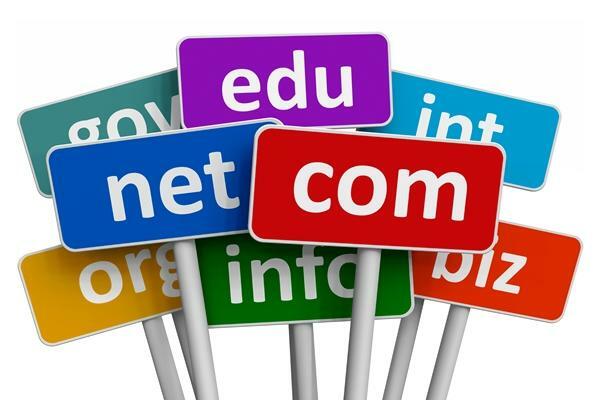 If you eventually get a domain name with a suffix other than “.com”, make sure that you promote your business or website with the full domain name. For example, if your domain name is “www.glam.com.ng”, make sure that when you advertise your site or business, call it “www.glam.com.ng” not “GLAM”. Otherwise your clients will navigate to the “.com” extension, visiting your competitors instead. Shorter domain names are easier for your visitors to remember, they are easier to type and far less susceptible to mistakes: for example, “www.glam.com” is easier to remember and less prone to typos than “glamhairinlagosnigeria.com”. Also note that your short domain name should contain a meaningful combination of characters and not the obscure “fipwq.com”. Hyphens are easy to forget. If “www.glamhair.com” is taken and you decide to order “www.glam-hair.com” because it is available, there is a great chance you will end up getting people lost at “www.glamhair.com”. There is a high probability that your visitors will leave out the hyphens and end up at your competitor’s site. Numerals make it hard to give your domain name verbally and falls down on being easy to remember or type. Numeral substitutions just really do not work. Tell someone your site is “glam3.com” and you are guaranteed confusion. Similar to avoiding hyphens, if “www.glam.com” is taken and you pick “www.glams.com”, there is a good chance you will be sending your traffic to your competitor “www.glam.com” as most domains are singular rather than plural. Finally to determine the availability of a domain use: WHOIS to determine availability of a domain name.